Dear Outer Space: Chapbook Rookie: Braiding the Storm Cover Art Revealed! 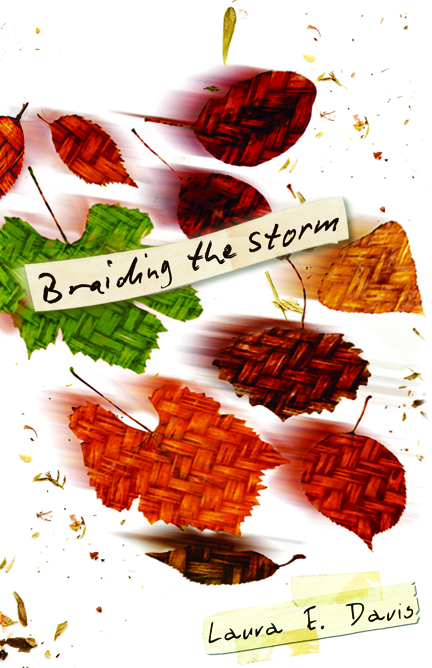 Chapbook Rookie: Braiding the Storm Cover Art Revealed! I'm so excited to finally share my cover art with all of you! I've been collaborating with the amazingly talented Rose Desiano, who took my words and made them a visual feast. I love the whole design, but I'm particularly fond of the thatched leaves and the tape holding down my name in the corner. I could not have imagined this, but I think it really captures the movement and energy of these poems. I was lucky enough to have Rose create the art and design the layout for my book, both front and back. So some these pretty leaves below will wrap around the spine. One step closer to holding my chapbook in my hands! Braiding the Storm is forthcoming from Finishing Line Press in September, 2012. I know it's a typo, but I hope you don't have to wait 90 years for your book to come out! :) It's lovely! ha! awesome. thanks for pointing it out. This is beautiful! I LOVE the title. I'm so thrilled for you. Beautiful! So excited for you!